The GMAT exam’s Score Preview feature enables you to make the decision to report or cancel your GMAT score following your GMAT exam. 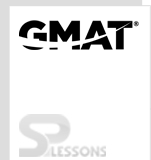 That implies you should be prepared to make this choice ahead before of time before you take the GMAT. Since you are likely going to be speaking with your target schools previously taking the GMAT exam, you need to check their websites or get some information about any policies or inclinations they may have regarding GMAT score reporting. A few schools like to see all scores from all sittings of the GMAT exam, other schools are fine seeing only your best score. To utilize Score Preview to your best advantage and present your best application, you ought understand these policies at your target schools. After you finish the test, you will have the chance to see your score. You may choose to cancel your scores at this time. You won’t be able to view them at a later time unless you reestablish your score. Fees apply. You won’t be eligible for a refund of any test expenses. The score cancellation won’t be reported or generally indicated on all future score reports. For more information, click here. You should wait 16 days to retake the exam. For more information, click here. You will get a printed copy of your informal report for Quantitative, Verbal, Integrated Reasoning and Total scores at the test center. You will have 72 hours to cancel your score online means of your MBA.com represent a $25 charge. An Official Score Report, including the scores for the Analytical Writing Assessment, will be made accessible to you and your assigned GMAT programs within 20 calendar days after you take the test.